According to the Centers for Disease Control (CDC), more than one million people in the United States have CFS. It is more prevalent in the U.S. than lupus, multiple sclerosis, and many types of cancer. It is found more often in women than in men – women are four times more likely to get it. While anyone of any age can get CFS, it seems to be most common in people in their 40s and 50s. Researchers have found no evidence to suggest that CFS is contagious, but they do believe there may be a genetic or familial link. 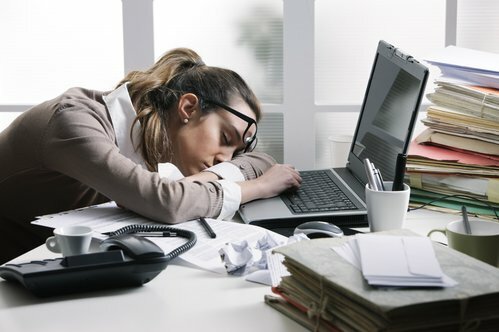 Complications that can come from CFS include depression, increased absence from work, lifestyle restrictions, inability to carry out normal daily activities like caring for children, housekeeping, or spousal functions. It can cause significant social isolation and loneliness. Many people have found that chiropractic for CFS helps reduce the pain that accompanies the condition as well as increases injury in some patients. The chiropractor uses spinal manipulation to treat the CFS patient, helping with many of the symptoms that are associated with the condition without invasive treatments or medication. Many CFS patients report more energy, less pain or no pain, greater flexibility, increased mobility, and reduced inflammation of joints after just a few chiropractic adjustments. Often it will be recommended that the patient attend several sessions a week for spinal adjustments and counseling on supplements and diet. All of these treatments work together to relieve the symptoms, strengthen the immune system, and help the patient feel more in control of their body and their condition. One of the benefits of chiropractic treatment for CFS is that it treats the whole patient, not just the symptoms. A doctor of chiropractic may recommend various chiropractic services such as spinal adjustments, but they will also sit with the patient and discuss that patient’s diet, daily routine, and any medications or supplements they are taking. They may also recommend a liver detox program, depending on the patient as well as a more structured diet and exercise program. Chiropractic care can give much needed hope to patients with CFS. The whole patient care that they receive helps not only the physical suffering, but the emotional suffering as well. The changes in diet, recommended supplements, and chiropractic treatments help the physical symptoms of the patient but also address the emotional ones as well, particularly depression and frustration. It is important that patients with CFS know that there is someone who hears them, understands their difficulties, and wants to help them on every level, not just symptom control. Chiropractic care addresses all of these for optimal whole patient care.